Over the summer Dante and I hiked our way to the top of the South Sister, located in Oregon. It was awesome! For that story click HERE. It took us a grueling 12 hours, but that was total time including a 45 minute lunch break and about an hour on top. 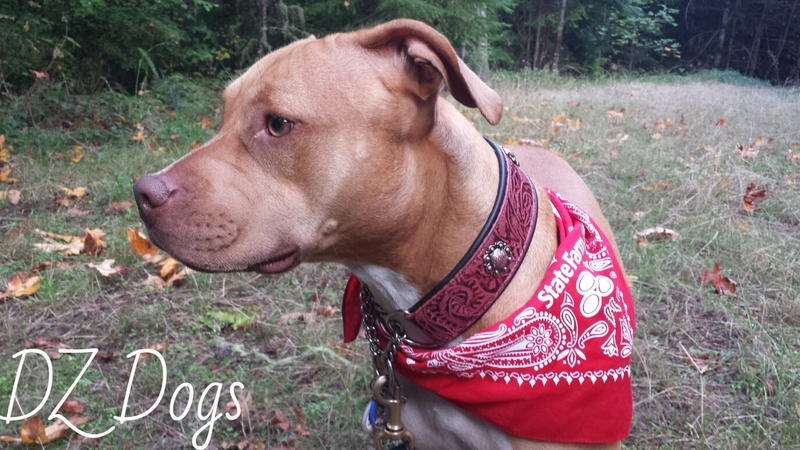 I came out the worst for the wear of our little hiking party, and Dante did great except for his pack. For about the first 5 miles he carried around 4 pounds of weight, once we reached the false summit and had our lunch break I transferred the contents of his pack into mine because he was getting noticeably tired probably due the the terrain, altitude, etc... and from this point forward he carried only our garbage which weighed practically nothing (sandwich bags, wrappers we found on the trail, empty crushed water bottle). Well long story short, when we got home and I gave him a bath he let out a huge SQUEAK / WHINE when I touched him under his front leg! Upon further inspection I realized his pack straps had rubbed him raw and cut him underneath his front left leg leaving a gash about 6 inches long. This pack we had tested out on many a short trip, but it clearly was unfit for long distances. As soon as we got home I marched right back to REI, returned it, and received a full refund. A new backpack for Dante became a priority. 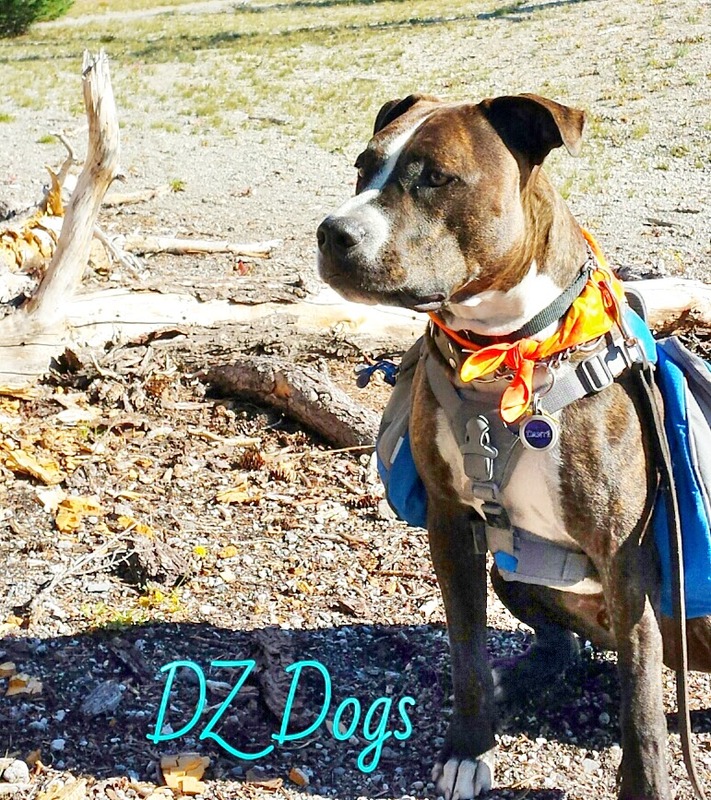 What are key features of a good Dog Pack? 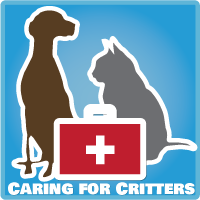 - A good Dog Pack should sit over the shoulders and the length of the rib cage, it should not be centered along the spine or across their hind legs. -The front of the pack should rest at the shoulder, the top of the pack should be close to the base of your dogs neck (but not too high!). - Should not be too tight as this can cause chafing, or too loose or else the pack will flop around. - The panniers (pack compartments) should hang straight down to, or just slightly below the rib cage. 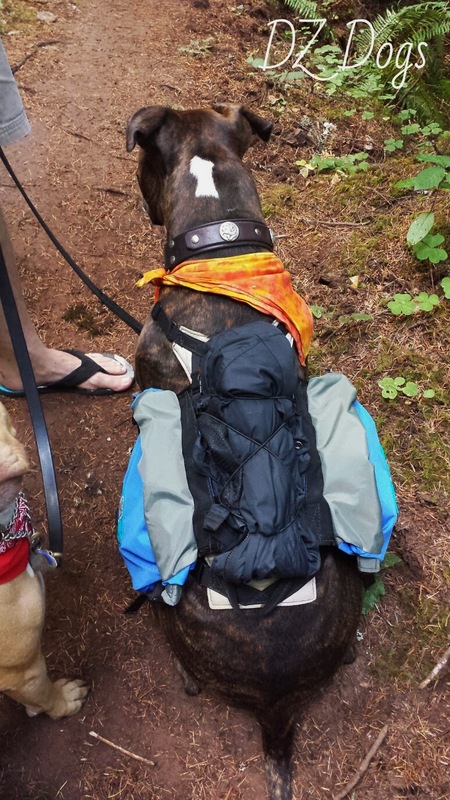 - The pack should not sag to low on your dog. 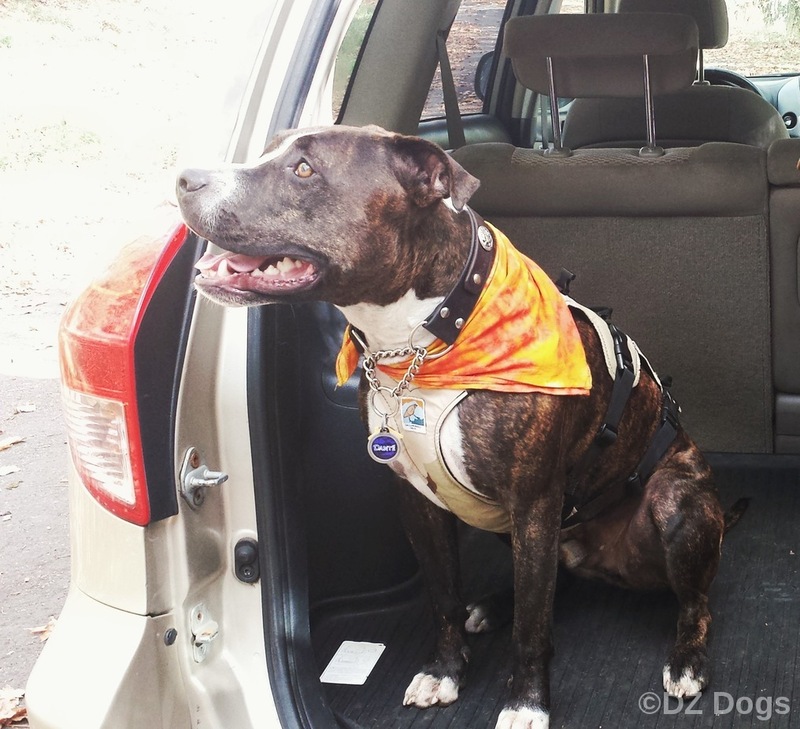 A saggy pack can chafe your dogs elbow joints. - The pack should be made of quality materials for durability reasons, you don't want your pack to rip or break. - The top portion of the pack should not be too narrow. 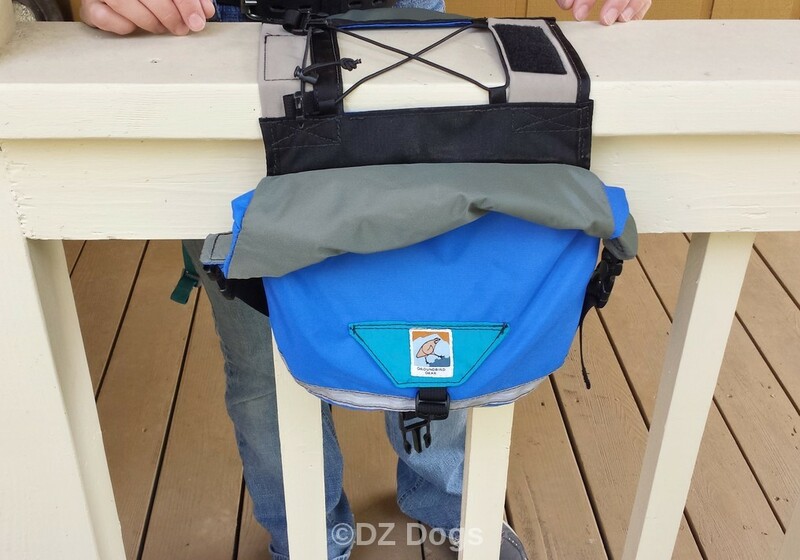 A narrow top panel can rub your dogs back and cause sores, you want the top panel portion to be wide enough to disburse the weight of the pack. "A dog pack essentially consists of two compartments attached to a yoke or pad over the dog's shoulders. The compartments, called panniers, hand down on either side of the dog. Gear (whatever you are taking along) is packed inside the panniers." 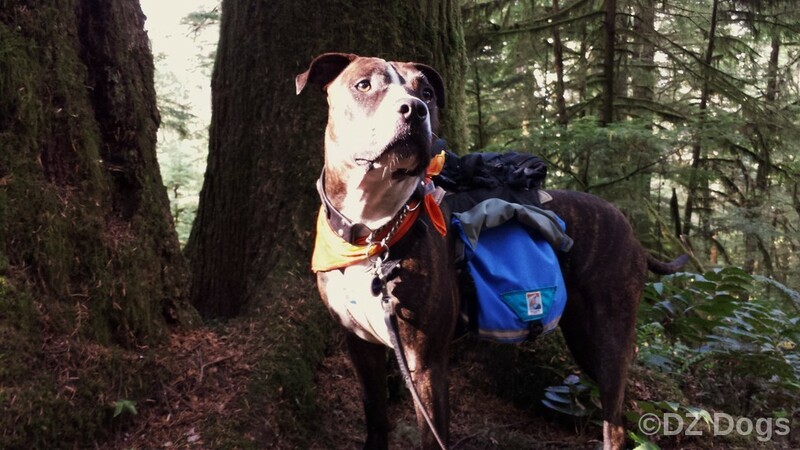 Problems with the REI Dog Pack. As you can see this pack sat forward on his shoulders, and it had a wide top panel. All good things. The biggest problem was the straps. The straps were too narrow, and were too close to the back of his shoulders. Very bulky - this pack was constantly being knocked into my legs as we walked because Dante insists on walking beside me. This pack went on over his head, and then connected three times, once just behind his front legs, and once at the bottom of his belly, and the third clip was on his chest. See how the chest strap doesn't lay flat? The strap that connected behind his front legs was the culprit who rubbed him raw. Another problem - hopefully you can see it in this second picture...was that when he sat down the bottom piece of the chest strap lifted up and forward as opposed to laying flat along his rib cage. The first thing that caught my eye was their claim of "no chafe". I messaged Bobwhite and she got back to me within the day! 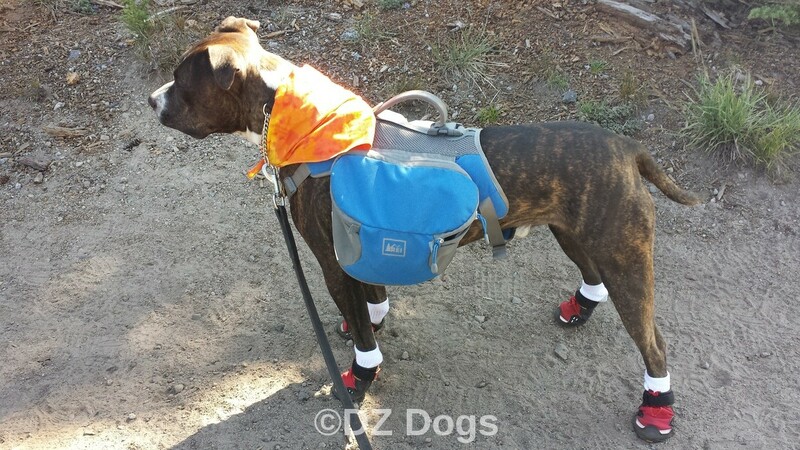 Made in the U.S. her packs are "non chafing" because they do not clip in under your dogs front legs, but rather 1.5 - 2 inches behind the shoulder blade. Another thing that excited me most about this company is that each individual pack is designed to fit your individual dog! My hard to fit bully can finally have a fitted pack! These packs are custom made in the U.S. by owner and founder BobWhite a.ka. Marie. 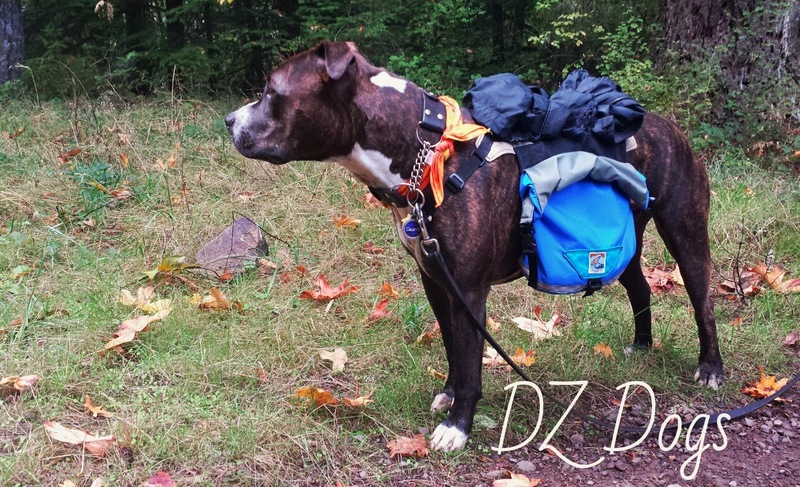 Bobwhite does long backpacking trips called "Thru-hiking" and she designed these packs after adopting her lovely bully breed mutt who like all bully breeds tends to be hard to fit. The Trekking Roll-Top Pack: Designed for long distance hikers. 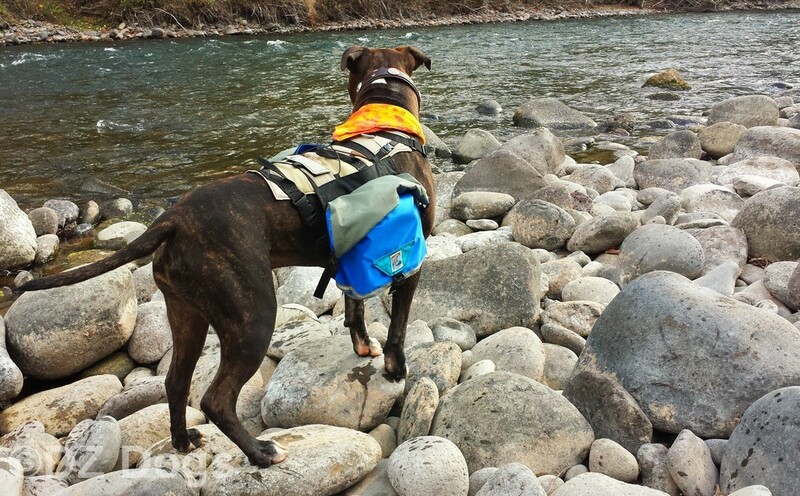 This pack weighs 10 ounces, this is half a pound lighter than the Ruffwear Palisades Pack which weighs 26 ounces! Weight is extremely important for long distance hikers. The Weekend Zipper-Top Pack: Designed for weekend backpackers and urban walkers. This pack weighs 7 ounces. Being a custom fit, her packs are designed into two pieces. 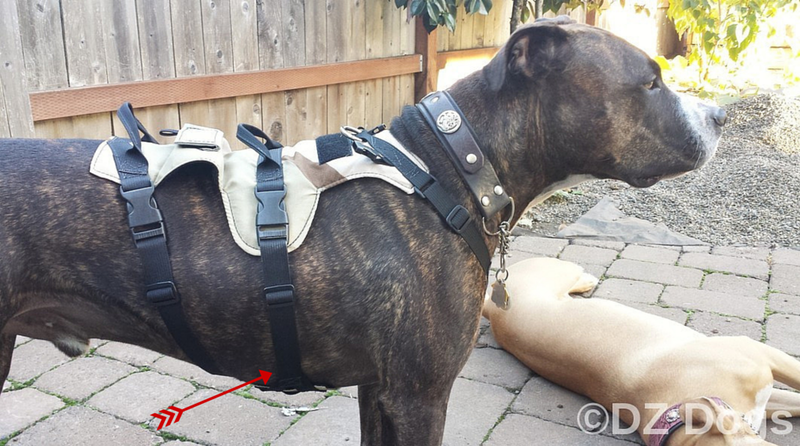 The custom fit harness, and then the pannier (pack portion). Being that we sometimes do really long hikes the hubby and I decided that the Trekking Roll-Top Pack would be the pack for us! Ordering the pack was really simple. The hubby and I followed her fitting/measurement guide, measured Dante several times for accuracy and sent it in! On top of being custom fitted you also can choose either a color scheme, or pick your own colors from her list! If you have questions or special requests you can send her a message and Bobwhite will get back to you. Upon opening our highly anticipated package we were thrilled to see a beautifully crafted product with reinforced stitching, durable buckles and cinches, high quality material, and no loose straps hanging about. 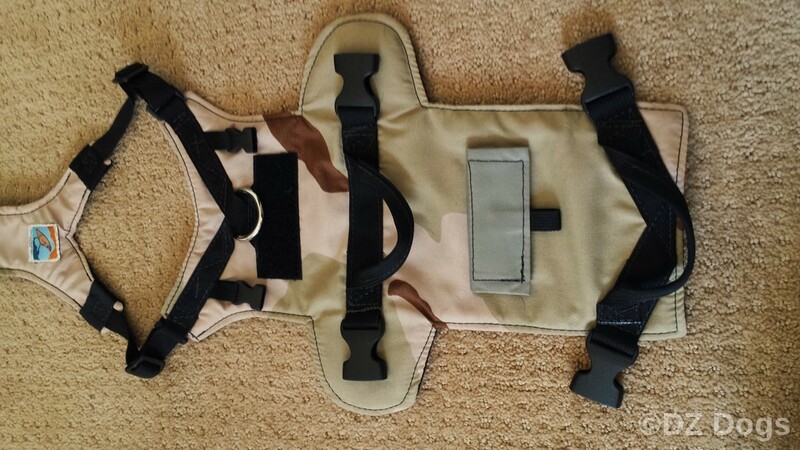 The top of the harness has a leash ring, the velcro is where the pack attaches, and we personally asked for the handles that you see in this picture below. The panniers, have adjustable straps on the bottom so that you can compress the pack, and then the panniers zip closed, and then based upon what is inside you roll down the top of the panniers to compress the pack and buckles the roll top in place. This ends up making the bag fit the occasion, for long or short trips. the zipper is further safety that your stuff won't end up all over the trail if you have a crazy pup hiking buddy who likes to run through the brush, or roll around on his back like my silly Dante. On top of the pack itself is a webbing of elastic so that you have more packing options. And the best part... the harness & pack fit perfectly! Plus he's super handsome in desert camo! Looking at the red arrow you can see that the strap is well away from his front legs. The harness fit exactly like it is designed to fit. The rib strap clipped far behind Dante's front legs, the harness sat high up on the back of his neck above his shoulders, the top of the harness is wide and lightly padded with a matching lightly padded chest cover rather than just straps down his chest, the straps used for fitting and buckling are wide and made with high quality buckles and cinches for durability. "Are you done with the pictures, lets go guys!" The pack sits perfectly behind his leg and over the length of his rib cage. Having a deep chest the panniers hang just slightly below Dante's rib cage - which is exactly what you want. The panniers should hang right at or slightly below the rib cage for proper fitting, any longer and they will swing. Keep in mind this is Groundbird's larger dog pack, the smaller pack would sit slightly higher up on the dog's rib cage. 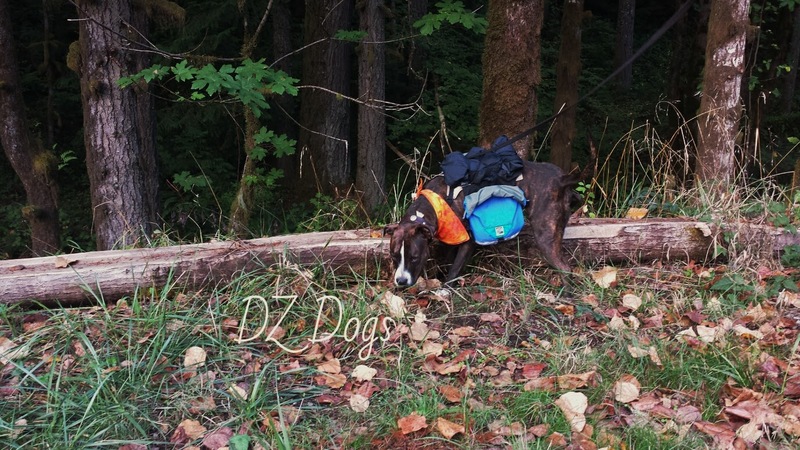 Wanting to really test the solidity of this pack we let Dante do some off-leash running, jumping, and climbing around through the brush to see how well the pack would stay in place. The pack I am proud to say did great! And the top webbing was a perfect place to stash my wind breaker. 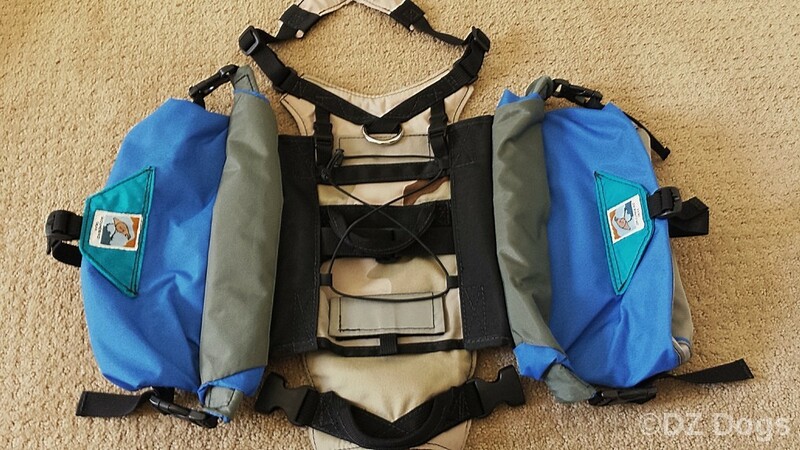 If your pup is tired, injured, or just wants to go for a swim, the two piece harness/pack set is perfect! If you are wanting top quality gear, and don't wish to waste your money on a poorly fitted pack for your pup we highly recommend you try out Groundbird Gear. 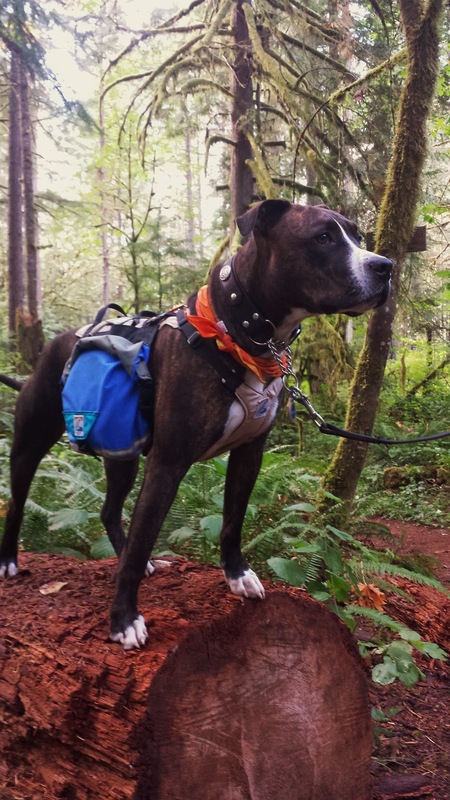 Groundbird Gear has an awesome dog pattern, so long as you are careful in your measurements they can make the perfect pack for your pup - even hard to fit bullies! The packs are made with High Quality Super Durable polyurethane coated & DWR treated 400 denier cloth. Very sturdy Zippers & Buckles. 2 Handles on Top of the Harness. 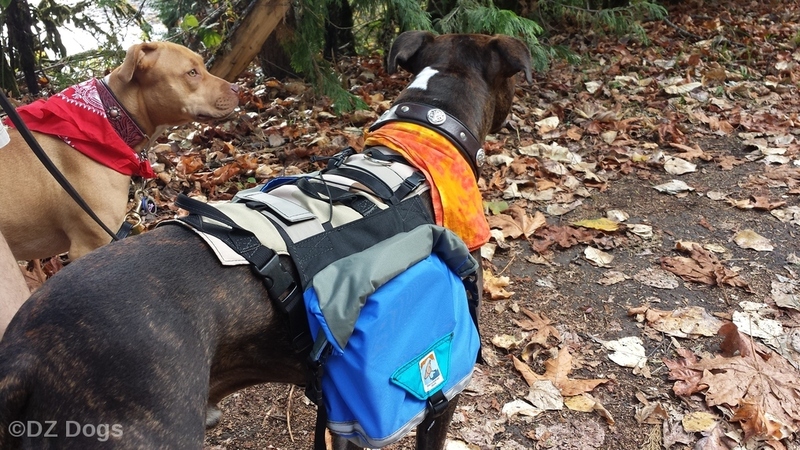 The Pack itself does not slide around thanks to the double layer velcro tabs that hold it to the harness. 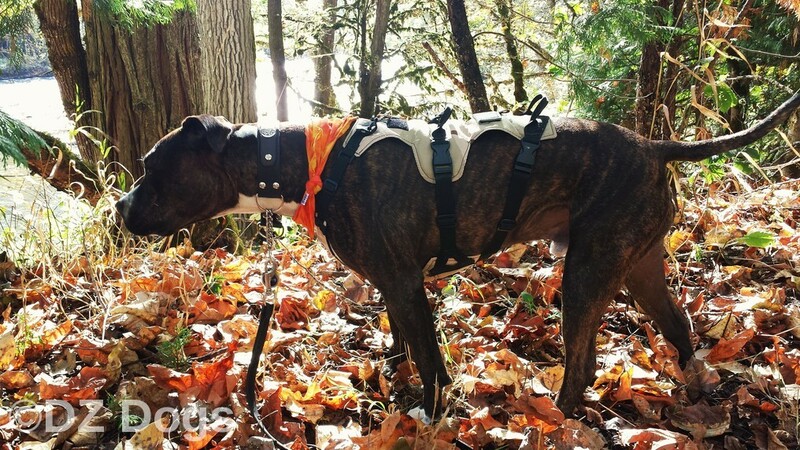 Easy on/off harness design that slips over your dog's head without having to fish his/her legs through. 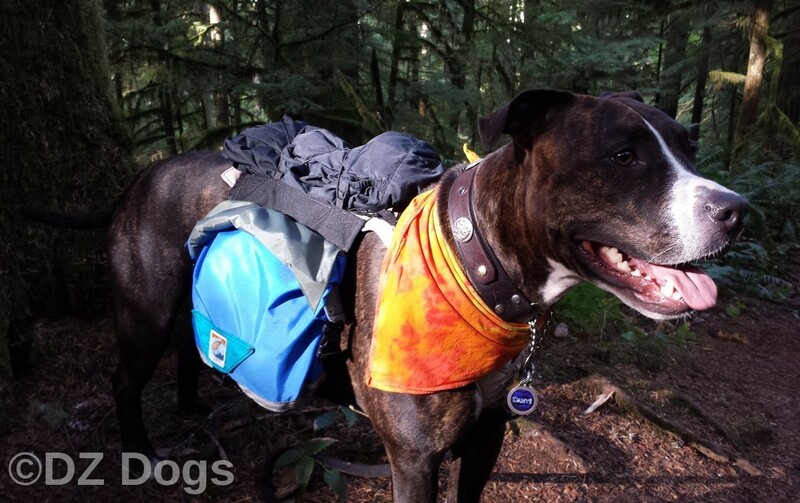 The pack comes off and goes back on quickly & you don't have to remove the harness. Bottom of the bag cinches for compression. Reflective Tape along the bottom of the pack provides visibility in low-light settings. Breathable & Padded Harness provides safety from chafing. 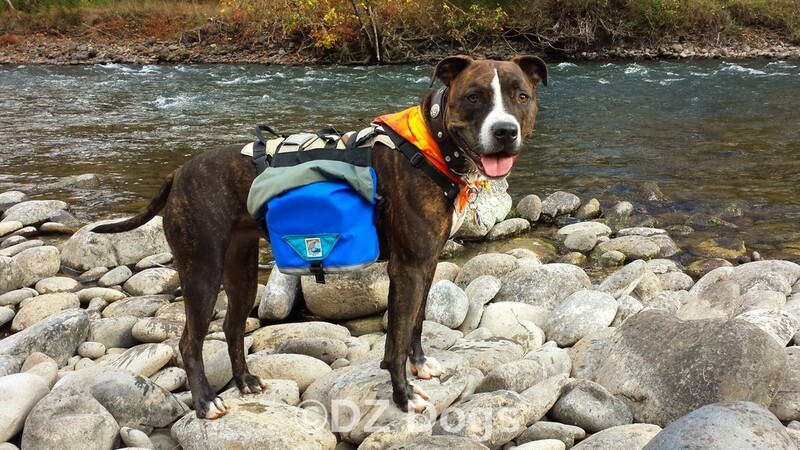 This pack is not bulky, your dog can comfortable walk next to you without knocking into your legs with a fat pack. You have the option to roll down the top of the pack to adjust size based upon your trip's needs. Pack weighs about 10 ounces - half a pound lighter than leading brands! Groundbird Gear wants to meet your needs. Groundbird Gear has a standard wear warranty and wants to make you happy, so if you have any problems with your pack they ask that you notify them immediately, and a special extended warranty is avaliable for Thru-hikers. This pack also passes the little boy's pee test!! We are very excited to try out this pack this upcoming snowshoeing season! And Ziva is very jealous so now that we know how awesome this pack is, we will be ordering one for her too! 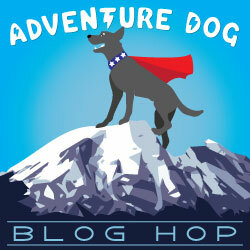 To test this product we went on a fun day hike about 5 miles in distance, trekking our way around in the brush, jumping logs, and climbing our way uphill since that is usually where we discover chafing issues. Click HERE to check them out online! Note: DZ Dogs was not monetarily compensated for this product review. DZ Dogs does not endorse any product that we do not love. Wonderful post! We are putting together our review for this pack as well. We, too, were so excited about the custom fit! Great pics! We have only done a short excursion so far, so we need to try it on a longer hike. Great job! Can't wait to see your review! My Human doesn't usually let me wear my pack 'cause I get so hot and she's always afraid I'll get hung up in downed limbs or briars and she won't be able to get to me to free me. Loved the review. Your kids don't get hung up in anything when off lead? So far we've never had any problems with that, and we've done tons of crashing around through the brush in the woods. :-) What we're thinking of doing is no collars just for when hiking (for the reason of hanging up - hasn't happened yet but wouldn't want them to choke if they got lost) and attaching a set of tags with our information permanently to the harness. The harness is pretty solid and lays flat nicely against their body, I imagine it would stay on just fine if they were to ever get lost. Yikes! That's too bad the REI pack chafed. The Groundbird pack looks like it fits much better than the REI pack and it looks so much more comfortable for Dante. Poor Dante. I JUST wrote a post on my blog about chafing in regard to harnesses. The same could have been said about packs though too. Active dogs move more, and therefore get rubbed more, than the average dog. If water and/or dirt is added to the mix it can make the problem worse. Glad you found a pack that works. I think getting that strap out of the arm pit is key. How cool! Yes, I was reminded of Jessica's recent article about the harnesses when I read this. That armpit area is key (Mort has rubbed off his fur from some harnesses that rest there) - very interesting to see the alternatives and what a difference they can make. And wow - a 12 hour hike! That is such an adventure indeed, and a real test to a pack that has to make it all the way there and back! Bookmarking this for when we need such a pack. 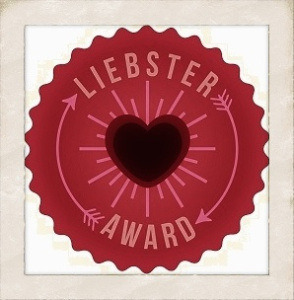 Thanks for adding us to your bookmark list! It was definitely an adventure for us, but the pack is holding up great and we love it! Saw the link for your blog on the GBG website. Anxiously awaiting our pack for Moose the pit mix. Both Dante are Ziva are beautiful dogs, but Dante especially reminds me of my Moose, but a little bigger. 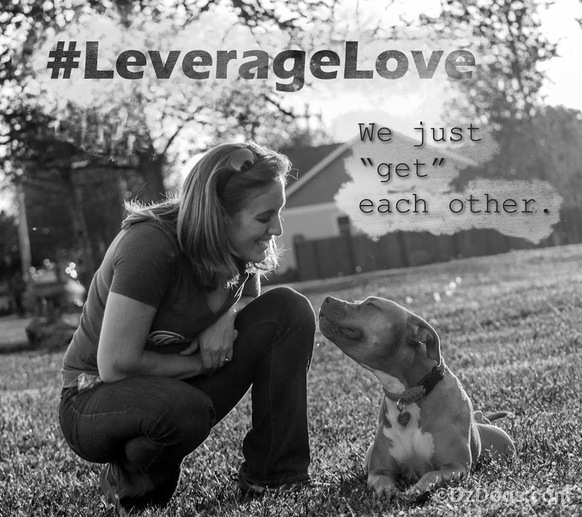 Keep up the good work showing the haters how love-a-bull pitties are. Enjoy your pack, you're going to love it! !